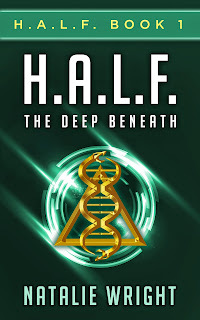 Natalie Wright, Author: H.A.L.F. is FREE on Amazon for a Limited Time Only! H.A.L.F. is FREE on Amazon for a Limited Time Only! BREAKING NEWS - FREE BOOK!! For the first time ever, and only for 5 days, my award-winning book H.A.L.F. 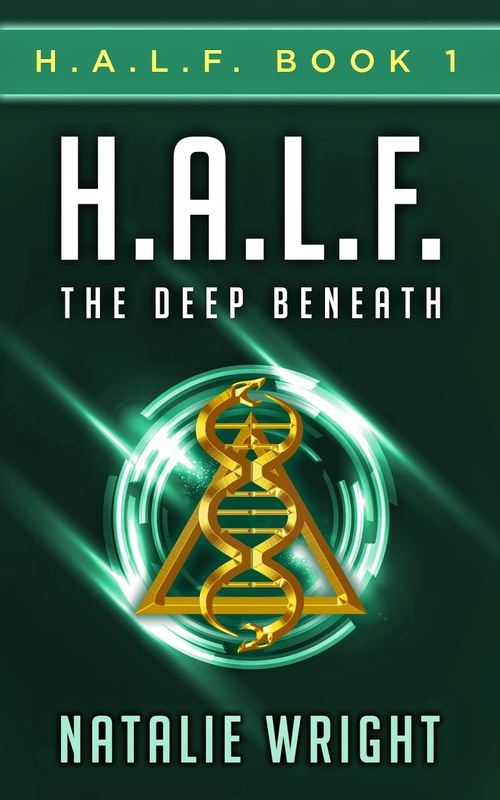 : The Deep Beneath (H.A.L.F. #1), is FREE on Amazon! If you haven't yet picked up a copy of H.A.L.F. (#1) but you've wanted to try it out, Now's the time! And if you want to pre-order H.A.L.F. #2 - The Makers - you can do that here. And to learn more about the special pre-order offer that I've got going on (including an exclusive full-color book that you can't buy in stores), click here. You're Invited to a Facebook Party!